I have to admit, when the Sisters told me that the novitiate would be a nice, quiet time, I was expecting something other than a double dose of classes four days a week, along with chores, grocery shopping and ministry… But I cannot deny that I am constantly learning something, either through prayer, class, or experience, and I am so grateful for the insight I’ve gained thus far. In fact, why don’t I share some of it with you now! 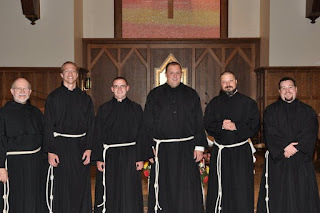 To refresh your memory, I am a newly invested novice with the Congregation of the Sisters of Saint Felix of Cantalice of the Third Order Regular of Saint Francis – or for short, the Felician Sisters. I am 48 days old in Sister years and feel as though it’s already been 48 months. So, what have I learned that I can offer you? Well, this weekend I went to a healing Mass where Father Bob Lombardo, C.F.R., explained that healing doesn’t mean we ask for change in another person, it means we ask for change in ourselves. If we want healing, it has to start with the Lord first and take root in our own being before it can ever take place in another. “Situations hardly ever change,” he said, “but what is it that changes instead? You. God changes you.” When in your life have you asked God to change a person or a situation, but instead, the change ultimately took place in you? I have a story about that. We are currently reading the Book of Exodus – “Let my people go” – I’m sure you know it. Well, each time Moses requests this of Pharaoh, Pharaoh refuses. Sometimes we become Pharaoh and our souls cry out as Moses did: “Let me go to worship my Lord!” And what happens each time we say, “No, I need you to do MY work, not the Lord’s, forget about worship”? Just as in the case of the Exodus, Pharaoh is inundated by plague after plague, so, too, do we experience darkness and storms and death when we deny ourselves the privilege of giving our lives to God. The story I have, which relates to this, is one I heard from a friend who is a Franciscan T.O.R. Brother studying for the priesthood. “I have a really good friend who paints with his mouth,” he began, “He’s actually paralyzed from the neck down. He was an alcoholic, had a wife and kids, but was always in and out of bars. His license was revoked for DWI, so he would ride his bike instead. While riding his bike home one day, he was hit by a car and ended up in rehab. He had intense physical therapy, even though the therapists weren’t sure if he’d ever walk again. ‘If you give me my legs back,’ my friend prayed, ‘I’ll never drink again’. Well, he walked out of there with full use of his legs and soon returned to his old ways. His wife left him, but not even this changed his behavior. Now he walked to and from the bars, so when he was on his way home one night, completely drunk, he climbed over a fence, fell, and broke his neck. He’ll never walk again, but he says it’s the best thing that could’ve happened to him. Now his art and his life are dedicated to the Lord.” Like Pharaoh, who refused the freedom for worship, this man brought plague after plague upon himself – the car/bike accident, his wife leaving, paralysis – until finally he handed his life over to God. For some of us, it takes that much; how much will it take for you? Remember, God's grace, love and mercy are infinite – they could never possibly run out! Through what desert will you wander? 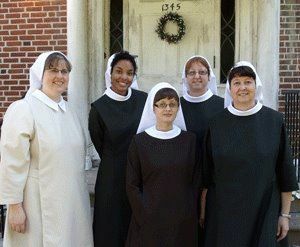 We're finally complete -- Sister Heather Marie is on the far left and Sister Mary Rita is front and center. 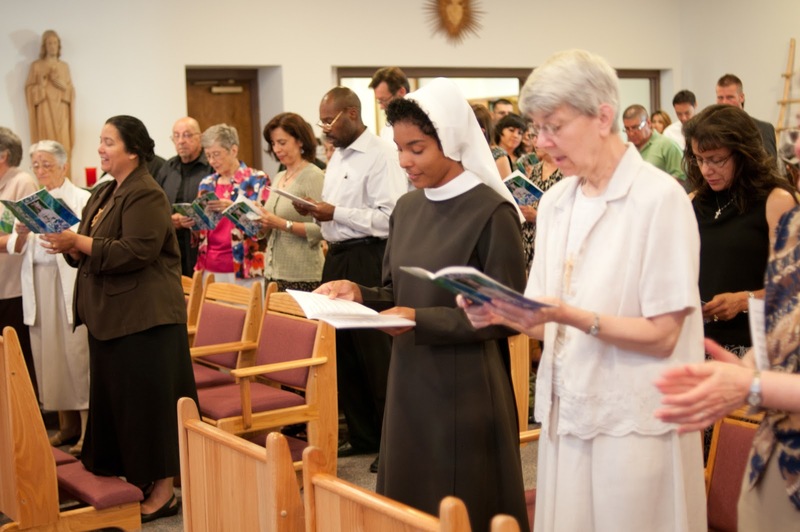 After Sister Rita obtained her VISA, she joined us from Canada via Poland! 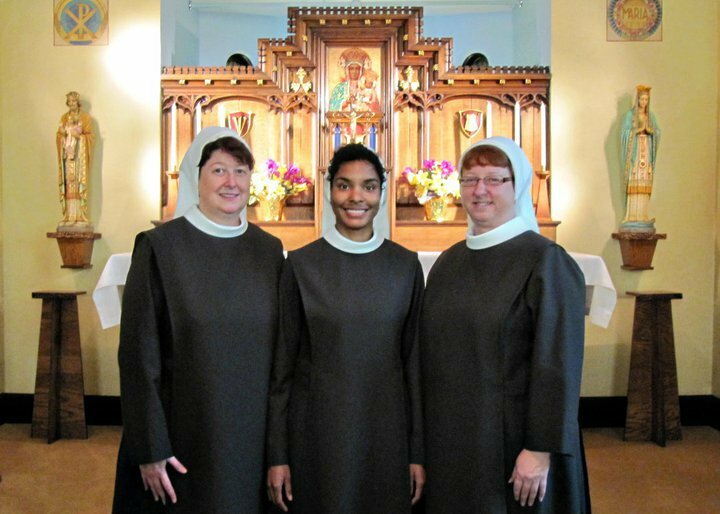 Sister Bridget Mary is on the left, I am in the middle, and Sister Mary Angelise is on the right - this was taken in Pittsburgh before we made our way to Enfield, CT.
Spanish Teacher for a Day! 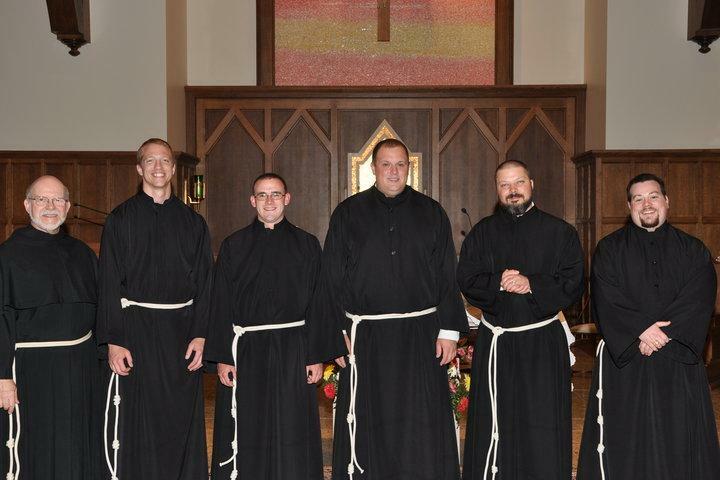 I went to Pomona, CA for my apostolic ministry as a postulant during the month of February this year. I spent time visiting with families, feeding the homeless, and talking to young women at the Pomona All-Girls Catholic High School. I spoke with many of the classes and all of the girls were welcoming and kind; they were eager to talk with me about religious life and listened attentively to what I had to say. Upon my pending departure, the girls encouraged me to “Come back!” “We’ll be sure to visit you when you teach here,” they said, but I wondered when I’d ever see or hear from them again. On August 14, 2011, I celebrated my Mass of Thanksgiving and entrance into the novitiate with my family and friends in Rio Rancho, NM. A package from Sister Feliz was among my gifts and inside was a stack of papers. Pulling them out, my eyes widened and almost started to leak – this “stack of papers” was a bundle of cards the girls made to congratulate me on becoming a novice. “Whoot!” and “PC is proud of you!” they said. Nina gave me the new word; she said: “I’m sure you will make a fabulous nun (at the end of your novice-ness…) “Huh,” I thought to myself, “novice-ness. It’s perfect! All of novitiate – the homework, ‘formation moments’, excitement, transition, everything – it can now be summarized into this one word.” So when you see it in my future blog antics, you’ll know just what it means and where it came from. Fancy that! Now, “what does this have to do with prayer?” one might ask, since this is the blog of a young woman pursuing religious life. I’ll tell you. In response to their thoughtfulness, I am making each of them a knotted chaplet. On the knots of each decade, I recited either 10 Hail Mary’s, Glory Be’s, Jesus prayers, or prayers to the Immaculate Heart of Mary for the student and her intentions, or the student and her family. On the cross of each chaplet I sprinkled 1) Holy Water from the Shrine of Divine Mercy, 2) Holy Water from the Shrine of Our Lady of Guadalupe in Mexico, or 3) blessed soil from the Marian Shrine in Chimayó, NM. As you can imagine, this was (and still is) a lot of work. I began making these chaplets just after I’d been thinking about what it meant to “pray always.” When I looked for this verse in the Bible, it appeared in 1 Thess. 5: 16-18; Lk. 18:1; Eph. 6:18; and Lk. 21:36. I’m sure it appears much more often than that, but to find it in four different places so quickly shows us how important an instruction it is. So as I worked on these chaplets, the words “pray always” came to life: instead of simply making chaplets, I asked Christ to turn my activity into a prayer. There are plenty of things in our lives that can become prayer, like cooking, or dancing… Even cleaning! We know we can offer up our joys, our chores, and especially our sorrows, as prayers for others to our Heavenly Father. I think that’s what it means to pray always – when we learn how to sincerely be in prayer during times of solitude, conversation, ministry, or wherever else the Lord beckons us to be at the moment. See, I told you my story would lead us to some substantial mumblings... I praise God the Holy Spirit for that! Amen.